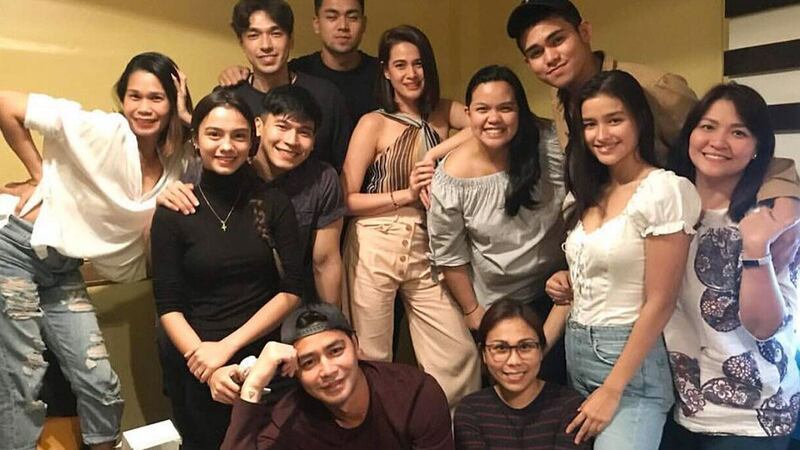 Ex- lovers Bea Alonzo and Zanjoe Marudo seem to be in good terms—they spent time together jamming with friends at a karaoke bar, and posted pics and IG stories to document the occasion. So cute! Maroon 5 just released the music video for their new single Girls Like You featuring Cardi B. Aside from being packed with cameos from Hollywood celebs like Ellen DeGeneres, Gal Gadot, Jennifer Lopez, Millie Bobby Brown, it also features Olympian Aly Raisman, and Olympic gold medalist Chloe Kim. The music video is fairly simple throughout, but the icing on the cake was Adam Levine hugging wife Behati Prinsloo, and daughter Dusty Rose at the end. Scarlet Snow Belo just graduated from preschool! Proud parents Vicki Belo and Hayden Kho posted about the ceremony on their Instagram accounts—and it was so precious. Bianca Gonzalez and JC Intal are expecting their second baby! The couple's unica hija, three-year-old Lucia, will offically be an ate soon! All the best for this happy, and soon to be bigger family! HUGE NEWS! Korean stars Sandara Park and Nam Joo Hyuk are coming to the Philippines for the Penshoppe FanCon on July 29, 2018 ath the Mall of Asia Arena! Follow Penshoppe on their social media accounts for more details.